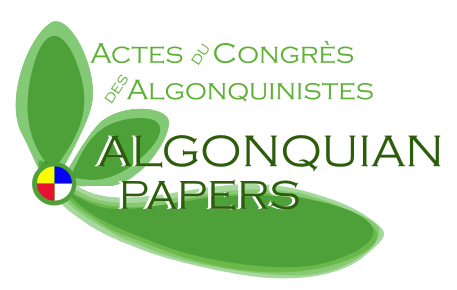 The Papers of the Algonquian Conference / Actes du Congrès des Algonquinistes are published annually. The manuscripts are fully refereed and each manuscript is published in the language in which it was presented. The volume itself is titled in English or French, depending on the conference site. Les Actes du Congrès des Algonquinistes / Papers of the Algonquian Conference font l’objet d’une publication annuelle. Les manuscrits sont évalués par un comité de lecture et publiés dans la langue dans laquelle ils ont été présentés. Le volume est intitulé en français ou en anglais, selon le lieu de la conférence. The Canadian Journal of Children's Rights is a peer reviewed international journal featuring interdisciplinary scholarly research relating to children's rights in a global context. CJCR publishes theoretical, empirical, and policy articles and comments and includes a section devoted to youth authors. Its aim is to provide a forum for exchanging ideas and engaging in debate and dialogue regarding questions and issues pertaining to children's rights. The Carleton Review of International Affairs is a student-run peer-reviewed journal which publishes outstanding work by students on international affairs in theory or in practice. It is interdisciplinary in its focus, recognizing the need for a multitude of perspectives and approaches in a globalized world. Journal of Prognostics and Health Management (JPHM) is an interdisciplinary journal covering all engineering disciplines and reporting scientific progresses and technological advancements in the field of Prognostics and Health Management. Proceedings of the Biennial Conference on Historical Analysis and Research in Marketing (CHARM). The Review of European and Russian Affairs (RERA) is an online academic journal that publishes research articles and book/literature reviews related to the European Union, its Member States, the states of the former Soviet Union, and Central and Eastern Europe. The journal is interdisciplinary with a focus on the social sciences, policy studies, law, and international affairs. The Southern Journal of Canadian Studies publishes cutting-edge, interdiscplinary scholarship in Canadian Studies. 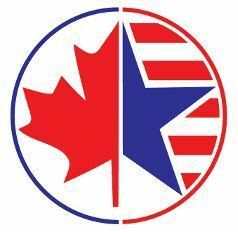 Fully committed to the critical study of Canada, the Southern Journal of Canadian Studies has a rigorous peer-review process and seeks to advance our understanding of Canada and its relationship with North America and the rest of the world. The journal welcomes submissions from scholars working on the study of Canada from any disciplinary or interdisciplinary standpoint.